David Cameron has refused to take part in any televised debates with eurosceptics in the run up to the EU referendum and will only take part in a Q&A session if he is the only person answering questions. 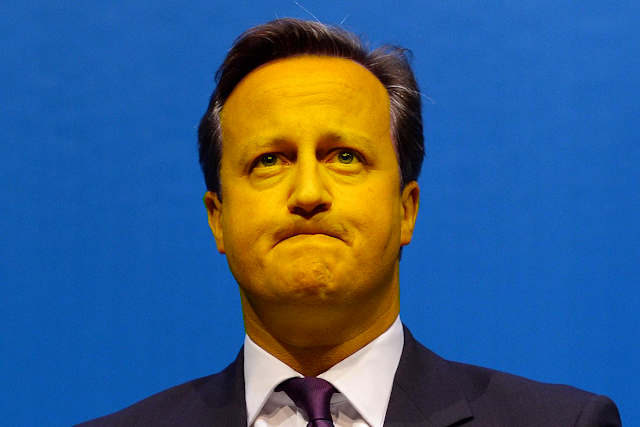 Yellow belly Dave is particularly scared of sharing a platform with Nigel Farage after seeing what happened to Nick Clegg before the EU elections when Farage wiped the floor with him. He has consistently avoided going head to head with Farage knowing that the same fate awaits him. The Electoral Reform Society and even some of his own MPs have criticised Cameron for running scared, saying that public debates between eurosceptics and leading europhiles like Cameron are important.